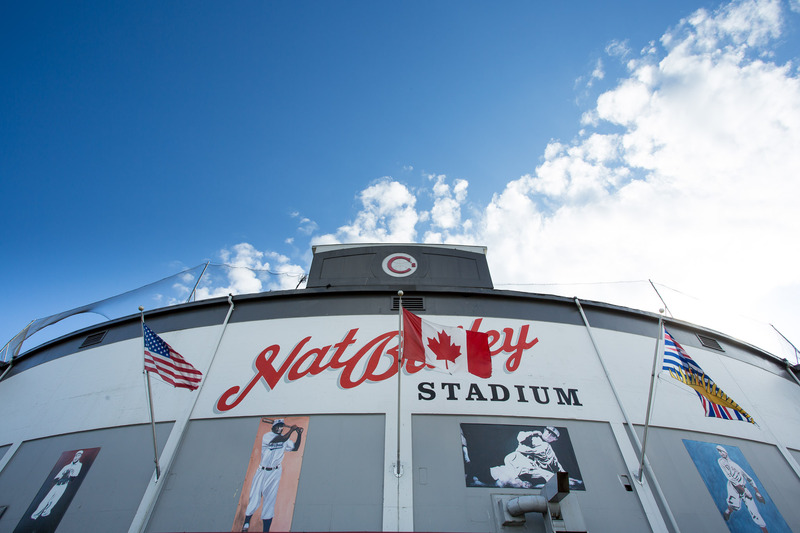 Riley Park–South Cambie Community Visions is a Vancouver City Council mandated citizens’ advisory group that serves as a public “watchdog” for community planning in the area between 16th and 41st. and Oak and Fraser Streets. 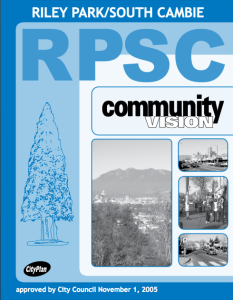 The RPSC’s goal is to maintain and strengthen the community’s identity in the face of considerable change. 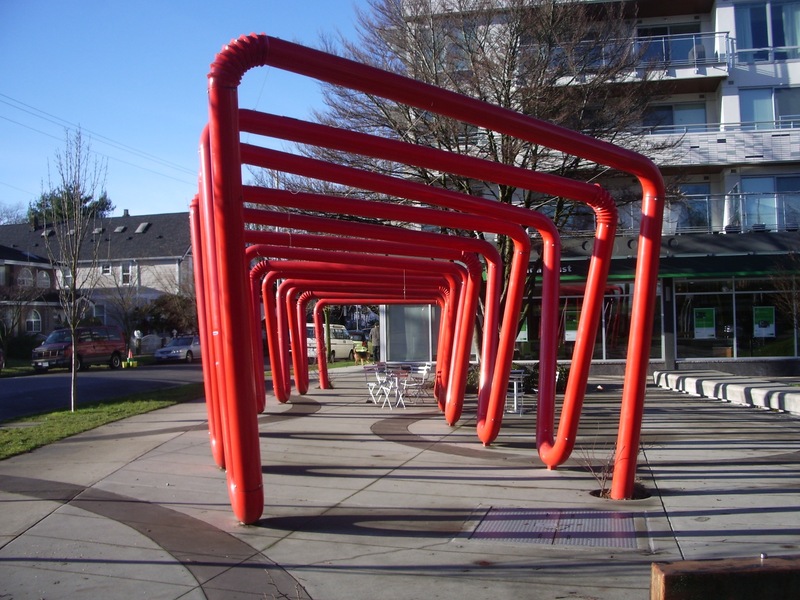 The RPSC is open to everyone who lives in this area, and meets regularly to provide input and feedback to City Council, Planning, Staff and Developers on all aspects of new development, construction and change within this part of Vancouver. Vision recommendations are translated into action and advice to government and industry — for example: to identify the specific location and design of housing; to stress the need for housing that is affordable for working people; to design improvements to community shopping areas; to participate in community planning, and to pressure the City and Developers to maintain the values and qualities that have made this area one of the finest places to live in Vancouver. 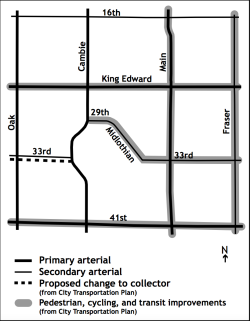 Since the Vision’s publication, however, the Riley Park South Cambie area has undergone extensive change and continues to experience some of the most dramatic shifts in housing and population in the city. 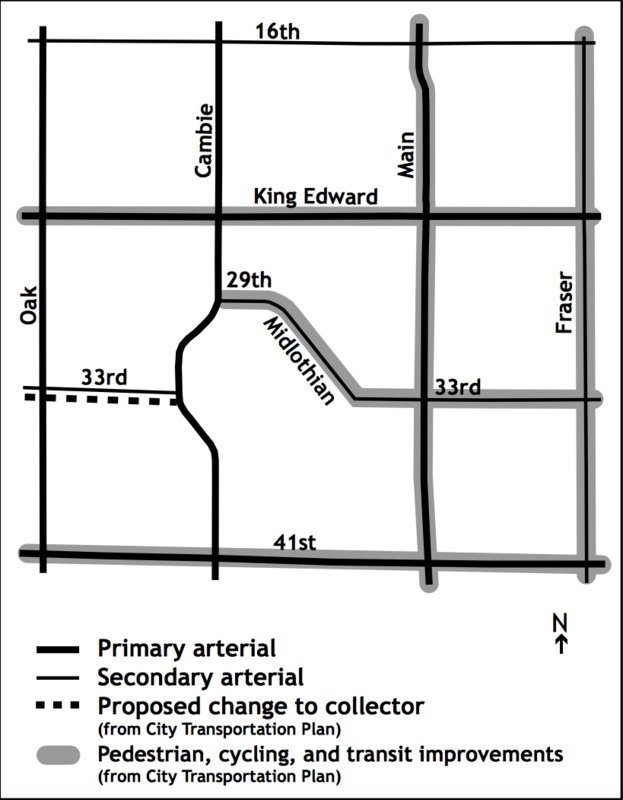 Oakridge Centre, Canada Line, Hillcrest Centre, Little Mountain Housing Site, Cambie Corridor Redevelopment together with dozens of housing redevelopment projects have occurred with breathtaking speed in our area. 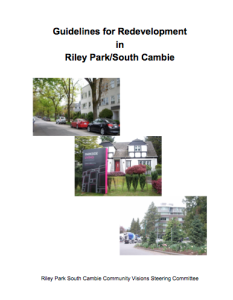 In 2016 RPSC issued its Guidelines for Redevelopment of Riley Park South Cambie (see right). 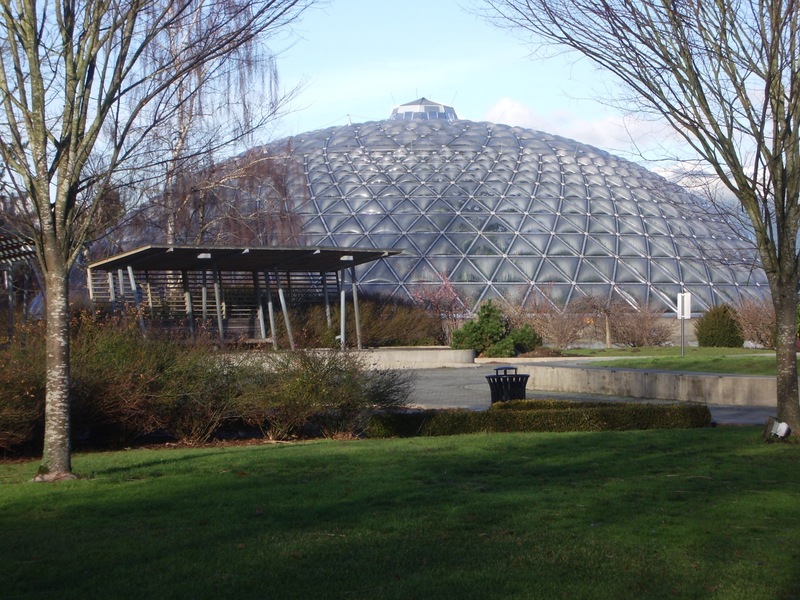 This document updates the community’s experience and values with regard to redevelopment. Preserve as much of the history and character of this area as we can.The RPSC meets on the 3rd Wednesday of each month at Hillcrest Centre from January to June and from September through November. Get involved in your community! Join us at our monthly meetings.